1659 Apartments proposal. Rendering by Striegel-Agacki Studio. 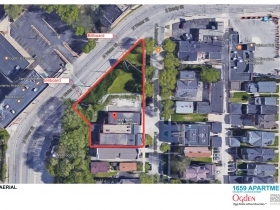 Ogden Multifamily Partners‘ proposal to build a 76-unit apartment building on a triangular site between N. Water St. and N. Jackson St. found support, and plenty of questions, from potential neighbors at a meeting held Tuesday night by Alderman Nik Kovac. 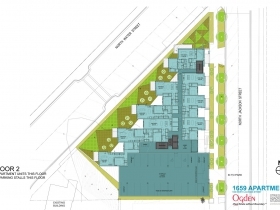 The project requires a zoning change, in part to unify the zoning on a five-parcel site, and as is standard practice for Kovac, a neighborhood meeting was called to residents to ask questions and hear from the developer and designer. The meeting was held at Ogden’s corporate headquarters, conveniently located across the street from the proposed development site. Ogden’s Jason Pietsch and designer Joel Agacki of Striegel-Agacki Studio walked approximately 25 meeting attendees through the five (or six)-story project, including a handful of employees from both the city and Ogden & Co.
Pietsch said a key component of the building’s design are the “fingers” that stick out from building’s core. 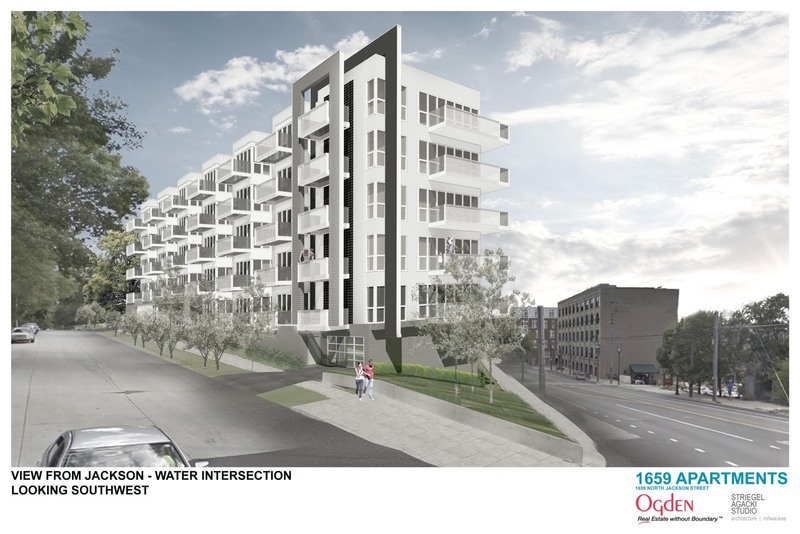 The jagged design, Pietsch said, is intended to allow sunlight into the many one-bedroom units from three directions, something the developer expects will allow the project to fetch a price premium compared to the nearby buildings. The design is also a response to the triangular site built into the side of a hill. “It’s a challenging site from a layout standpoint,” said Agacki. The site rises 30 feet going east to west, and also rises 15 feet as N. Water St. heads north. But that challenge also presents an opportunity. Much of the building’s parking will be below grade as viewed from N. Jackson St., but exposed on the N. Water St. side. 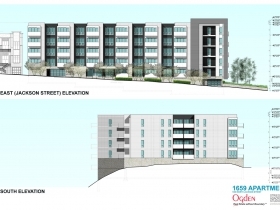 This will make the building appears six stories tall from N. Water St., and more like five stories from N. Jackson St. “Our intent from a scale and massing standpoint is not to stand out from the projects already on Jackson,” said Pietsch. Agacki has an intimate sense of the Jackson Street scale; he designed three of the four new buildings on the two-block street. 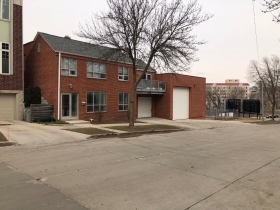 Much of the building would be clad in terracotta, a material that is making its return to newly constructed buildings in Milwaukee after more than a 50-year absence. Agacki said the material should last 100 years, enough for the material to fall in and out of vogue a few more times. 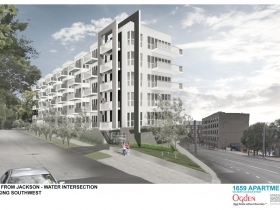 The Ogden project, which proposes to use a product from Terreal North America, will join The Contour as the second new building with clay-based material. The building’s facade and a landscaping plan along N. Water St. became the source of much debate at the meeting. It’s also been the source of plenty of debate for the development team. 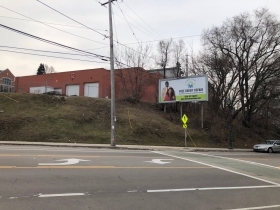 “Honest to God, we probably spent, between our office and the civil engineer, 80 to 90 hours on that corner,” said Agacki of the triangular corner at the site’s north end. The corner and N. Water St. frontage will be landscaped, with the building set back a number of feet. 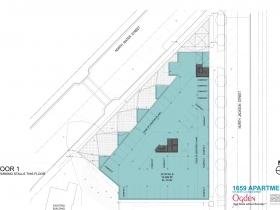 Multiple attendees expressed support for commercial space or townhomes to better activate the frontage and create a more pedestrian-friendly environment. Kovac said the city has worked with the development team on building options, but ultimately hasn’t been able to find a solution that works. 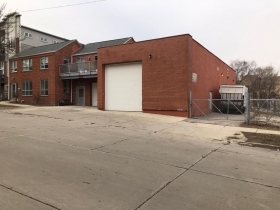 Commercial space would be difficult to lease, Pietsch explained, because it would be a maximum of 900 square feet and wouldn’t include any parking. Agacki explained that the problem is exacerbated by the International Building Code, which limits the number of floors for traditional lumber buildings. 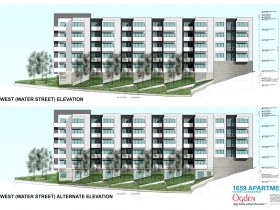 The designer said building townhomes, of which the site could likely fit four, would lower the calculated grade plane of the building and subsequently lower the maximum height of the building by at least one floor (planned for 17 units). Agacki said the solution proposed is the use of native plants to reduce runoff instead of trying to fit a structure in the space. 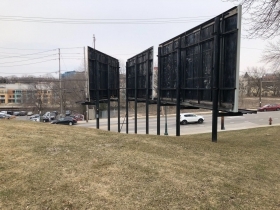 Both Kovac and the development team agreed that Ogden’s purchase and removal of Clear Channel’s billboards, proposed as part of the project, would certainly enhance the visual attractiveness of the area. Parking, always a hot topic at East Side neighborhood meetings, was also discussed. 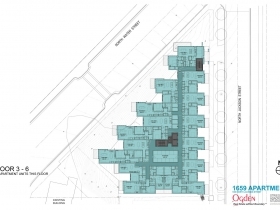 A handful of people pushed for less parking, arguing that building the spaces will increase demand for vehicles in one of the city’s densest neighborhoods. 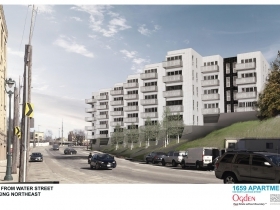 Others expressed support for Ogden’s plan to include 76 stalls in the building and allow use of its surface parking lot on the other side of N. Water St. The firm is relying on market data for parking demand said Pietsch, citing Ogden’s nearby Keystone on Brady development. Kovac said he supported making the city less reliant on motor vehicles, but said he regularly hears from constituents who lack on-site parking that street parking is at a premium. “You’re getting pushed in both directions, so maybe you’re in the right spot,” said the alderman who biked to the meeting. The discussion then moved to the logical intersection of parking and walkability: traffic. 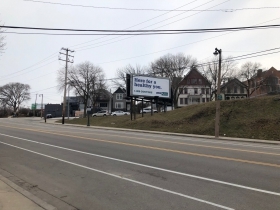 Kovac said the city has explored what to do with the busy, extended intersection of N. Jackson St., N. Water St. and E. Brady St., but no firm solutions have been identified. N. Jackson St. and N. Water St. intersect in a T-shaped intersection, though N. Water St. bends south just west of the intersection, which residents said leads to dangerous speeding. This is compounded, said Kovac, by the intersection of N. Water St. and E. Brady St. just east of the N. Jackson St. intersection: because N. Water St. doesn’t intersect at a 90-degree angle with E. Brady St., this encourages faster turning speeds. A traffic signal, which Kovac said is the logical solution, isn’t an option because it would be too close to the signal on N. Van Buren St. and E. Brady St., causing vehicles to back up into the opposite intersection. 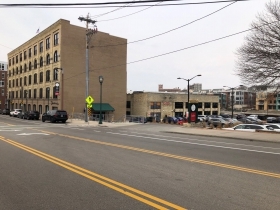 Curb bump-outs (extensions) have been contemplated by the city for the intersection as part of the redevelopment of the former Habhegger site by Wangard Partners into condominiums. The bump-outs would shorten the crossing distance for pedestrians by placing the edge of the sidwalk even with the edge of the parking lane, much like what is seen on E. Brady St., and also slow drivers coming and going from N. Water St.’s northern segment by forcing more traditional 90-degree turns. Kovac said the hope was install the bump-outs with Wangard’s project because the construction equipment would likely necessitate the repair of the sidewalk anyway. As is standard practice, Kovac ended the meeting with an informal poll. After asking the Ogden representatives not to vote, eight people raised their hand in support of the project. Five people raised their hand for “maybe,” and no one raised their hand in opposition. The rezoning request has yet to be formally submitted to the city. Future hearings before the City Plan Commission and Common Council’s Zoning, Neighborhoods & Development Committee would be required for the change to be approved. For more on the project, see our coverage from last week.